View the Full Masthead Here. 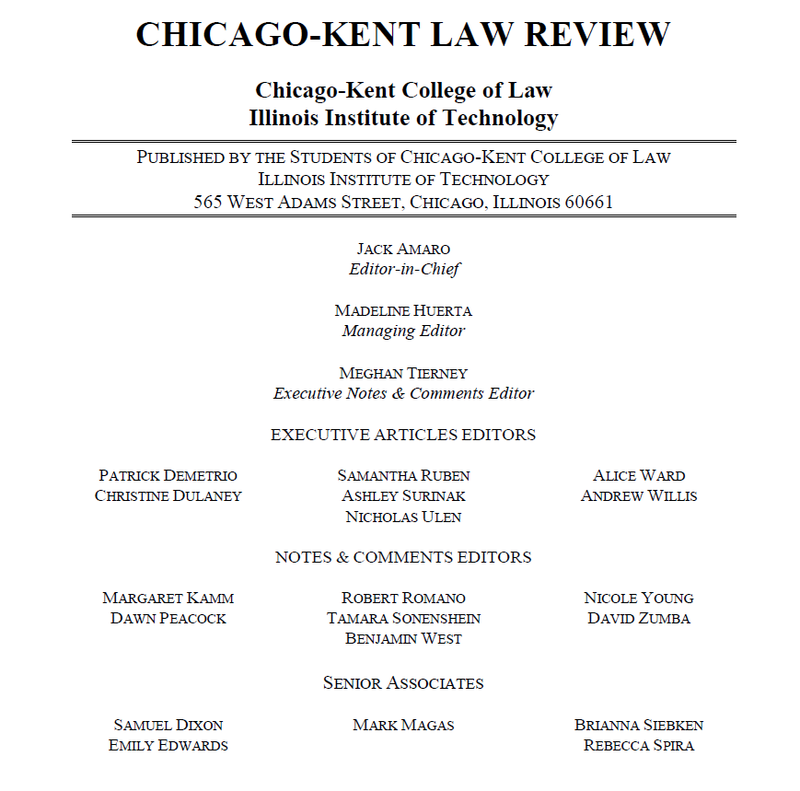 Please welcome the 2018–2019 Chicago-Kent Law Review Executive Board and Senior Staff! We had great competition this year, and each choice was difficult. All candidates were eminently qualified, whether from service to the Law Review, personal integrity, professional excellency, or a mixture of all three. Congratulations to all—we can’t wait to see what you do next!